Connect with the Colloquium on Facebook. 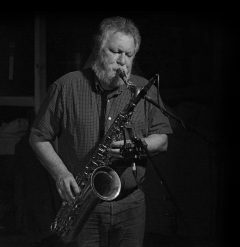 The International Institute for Critical Studies in Improvisation and Coastal Jazz invite proposals for papers and presentations for our eighth colloquium in Vancouver, British Columbia—Breathturns: Improvisation and Freedom. The colloquium will take place during the opening weekend of the TD Vancouver International Jazz Festival at the downtown campus of the University of British Columbia, and will feature as keynote speakers several world-renowned improvisers who are performing at the festival. We are inviting proposals for 20-minute presentations from artists, academics and community members. Proposals for panels would be welcome, and we are interested in supporting various forms of interdisciplinary, practice-based research. Proposals no longer than 200 words should be submitted by e-mail on or before March 1, 2016 to Dr. Kevin McNeilly, IICSI Site Coordinator, Dept. of English, University of British Columbia: [email protected].